Well, that was a big disappointment. Google just unveiled its first native Gmail application for the iPhone, iPad and iPod Touch this morning, and the app is a mess. It’s unusable. It doesn’t even launch properly, displaying an error message upon startup. Within moments of the application becoming available in iTunes, Gmail users took to Twitter, posting complaints, screenshots and generally ranting about the sorry state of what could have been a much better Gmail experience. 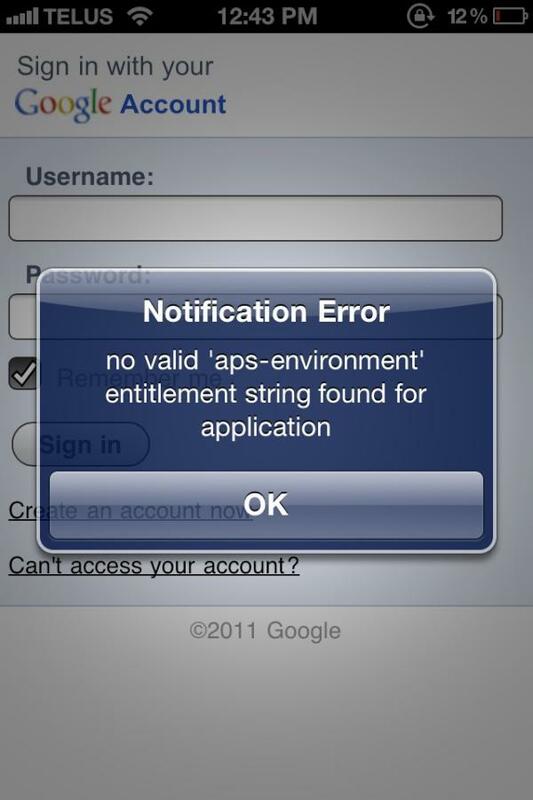 One of the app’s most promising features was its support for push notifications. This is something that the iPhone can’t do for Gmail by default. Unfortunately, none of the features Google promised in its blog post are accessible, because, for many users, the app is stillborn. You can’t even log in. (See below screenshots). The real question is here is how were these problems not caught during testing, either on Google’s part or Apple’s? (Conspiracy theory: Apple did catch the errors, but approved the app anyway).